Switching over to EU trade standards and nixing duty-free trade with Russia will cost Ukraine €165 billion over the next 10 years, President Putin warned at a meeting with President Petro Poroshenko in Minsk on Tuesday. Russia will be forced to cancel all preferential trade agreements for Ukraine’s imports and switch to a standard regime when it ratifies its EU trade association agreement in September, the President said. 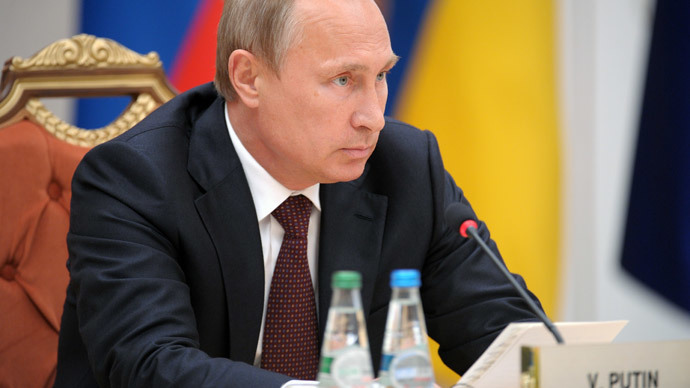 “In full accordance with the terms of agreement with the CIS free trade zone and WTO standards, we will be forced to cancel preferential imports from Ukraine,” Putin said. Russia will cancel its duty-free relationship with Ukraine, which will lead to import tariffs of up to 8 percent affecting 98 percent of commodities. Russia insists it needs to protect domestic markets from the flood of European goods on the Ukrainian market, which will in turn make Ukrainian goods less competitive. If the trade corridor of Ukraine is left wide open, Russian, Belarusian, and Kazakh products are at risk. In response, Ukrainian President Petro Poroshenko said that he would like to establish a monitoring group to assess the actual damage of Ukraine’s association with the EU. Moscow has warned Kiev that signing the Association Agreement (AA) with the EU would be economic suicide, and Moscow is also poised to suffer a €2 billion blow, according to Putin. “Entire sectors of industry and agriculture business will be hugely impacted, and there will be negative implications on the pace of economic growth and employment,” the Russian President said. Losses will not only be absorbed by Russia, but also by Customs Union members Belarus and Kazakhstan, he added. The Minsk talks are the first meeting between Putin and Poroshenko since early June when the two informally met on the sidelines of the World War II commemoration ceremony in Normandy. The AA sits at the heart of the Ukrainian conflict, as people first began protesting in Maidan Square in Kiev after the then–President Viktor Yanukovich decided against signing the deal. However, in June the new Kiev government signed the economic part of the Association Agreement, about a month after Russia, Belarus, and Kazakhstan sealed their Eurasian Economic Union on May 29 in Minsk. 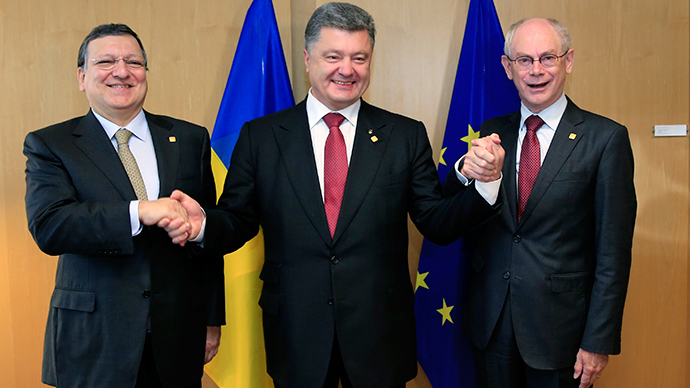 President Poroshenko said the EU association document will be ratified in September. Ukraine has strong economic ties with both the EU and Russia, which is why it wants to forge trade relations with both the European Union and the Russian-led Eurasian Union. It is Europe’s second largest country by landmass, has a $176 billion economy, and a population of 45 million. 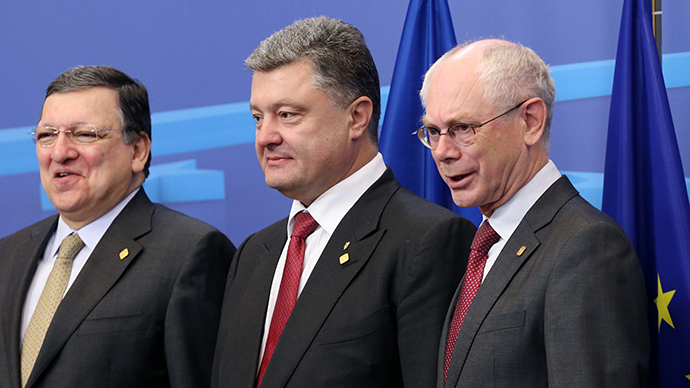 The perceived threat is that EU goods will illegally make their way to Russia via Ukraine. Russia has an agreement with Belarus to deter such smuggling, but not with Ukraine. “Even within the Customs Union, EU goods banned from entering the Russian Federation are now being delivered to us, in this case, unfortunately through Belarus,” Putin said. Russia suspended alcohol imports from Ukraine shortly after it imposed the import ban on agricultural products from the EU, US, Canada, Norway, and Australia. Ukraine's Parliament has also moved closer towards sanctions, adopting a law that would allow sanctions against Russia, and most importantly, halt Russian energy imports through Ukraine. 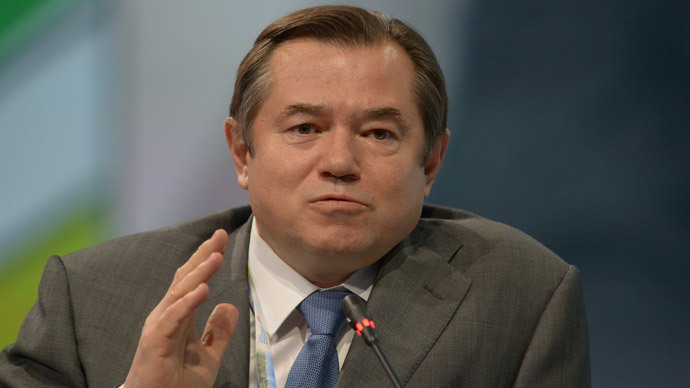 Energy is a large wedge between Moscow-Kiev relations. In June, Gazprom Russia’s national gas company said it was stopping deliveries to Ukraine after chronic late payment and an unpaid bill of over $5 billion . Ukraine imports nearly 50 percent of its gas from Russia, which in 2013 amounted to 27.7 billion cubic meters. If Ukraine cut off Russian gas transit, it would hit Europe, which sources 15 percent of its energy from Russia.